Scrap with Stacy: Your Are My Sunshine! Today I have a layout to share that I'm in love with! Well I'm in love with the paper collection I mean. I can't for the life of me remember the name of it though! ha The colors and images are so yummy. It was really just a dream to work with them. I used the beautiful sketch from Laura Whitaker for the Stuck?! Sketches February Challenge. Things just came together so quickly and easily. Isn't that paper to die for?! I fussy cut those flowers out of the patterned paper and just had fun layering and layering them. I also made a birthday layout for one of my sons. I recently got a Cameo for Christmas and am learning to use it little by little! ha I'm loving it so far!! I used it to cut out the balloons for the title. Fun right?? 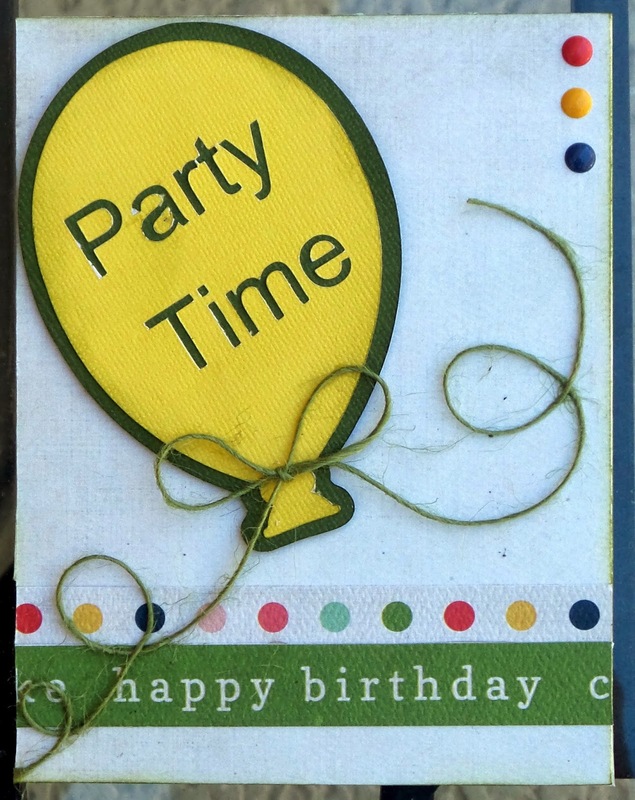 I used a left over balloon and my scraps to make this card. 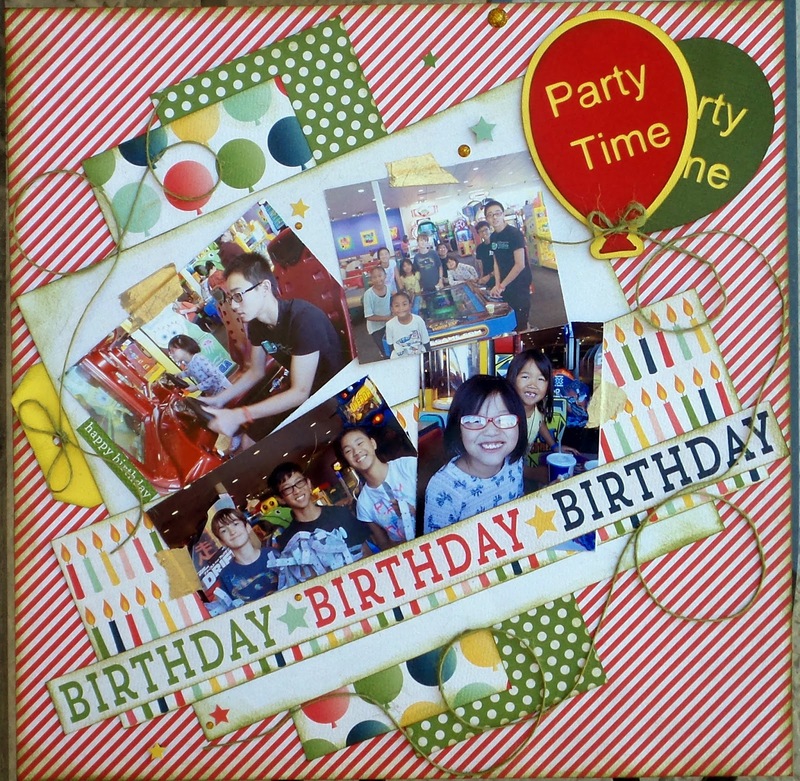 I really love challenging myself to use my leftover scraps right away after making a layout to make a card. I couldn't decide what color balloons I wanted on the layout so I made them in a few different colors. That's it for now. Thanks for visiting!! Until next time...happy scrapping! Oh your page is just so pretty, I love those patterns and colours too! Thank you for joining us at Stuck?! 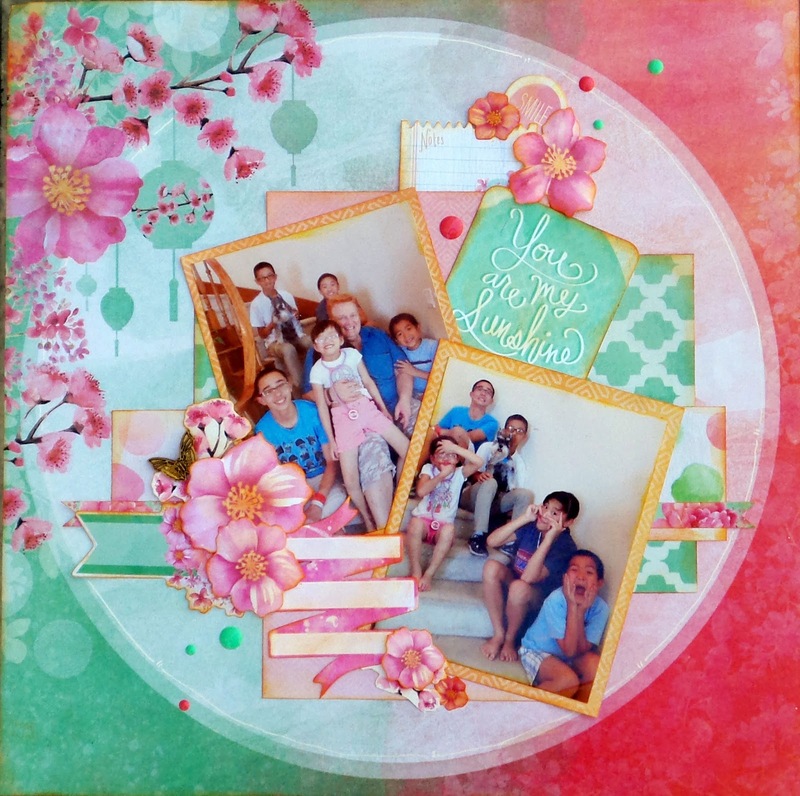 Your page is beautiful, love the pink and teal together. Thanks for playing along with us at Stuck?! Great take on the sketch. Love the colors and the large circle. Thanks for joining in with us at Stuck?! Awesome designs! Thanks for playing along with us over at Stuck?! Sketches! !